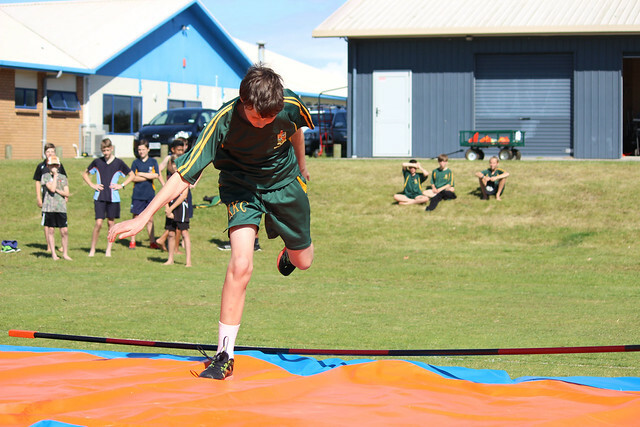 While the Tauranga Domain’s track is being resurfaced all WBOP inter-school athletics are being held at Gordon Spratt Reserve, Papamoa, this year. The change in venue for this year meant a fresh buzz amongst the competitors, and a new challenge for the organisers. The level of competition was no less fierce and results were spread evenly across all the school zones represented. The weather played its part and a fantastic day was had by all.